1.) The school has revamped its first year curriculum to what it sees as shift towards employers wanting managers with deep skills in data analytics. Aside from the standard general management courses (accounting, finance, marketing, etc), the first year program has 3 mandatory classes that focus deeply on predictive analytics and exposure to SQL. The strength of the program is still finance, but they have made a lot of investment in developing a first rate analytics competency as well. 2.) The undergraduate network for BC business students is very strong, especially in the Boston area. They are currently ranked #4 in the world by Businessweek (compared to #25 for BU) and are a semi-target for MBB. This network is wide open to BC MBA students and I think is a serious differentiator between the programs (BU vs BC). 3.) I have been told that the board of trustees for the Carroll school, overseeing both undergrad and grad level, met recently and are going to be making a push in the next several years to bring the MBA ranking at least into the top 25. There has been a lot of focus over the last decade or so to boost the ranking of the undergraduate program, and they are now shifting focus to the full time MBA program as well. I would expect substantial investment in this program in the next few years. 4.) Scholarship money. Relating to the drive mentioned above to boost the programs rankings, BC is serious about bringing in quality applicants. I was given a full scholarship with a 720 and another GMATclub member also received a full ride last year with a 740. As a MBA candidate who is not very interested in MBB or I-Banking after school, I have found BC to make a lot of sense to me. If you remove PE/Consulting/I-Banking from the average salary profile of top schools, you will see that there isn't a huge huge difference in what you would be making out of a top 25 school versus a school like Carroll. 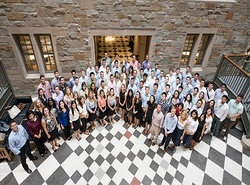 There seems to be fairly strong access to a spectrum of general management and asset management jobs here, and if the industries that I am targeting pay nearly the same for graduates of either program, I would certainly take the far cheaper option (putting the networking factor aside). 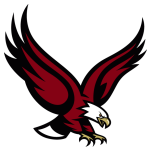 Obviously I have some bias, but I do think the program is headed in a good direction and would love to answer any questions that you all may have about the Carroll school. Could you comment on what are some of the most common opportunities outside the Boston area? On a different note, the application just opened today (or yesterday), so I'll start writing the essays! Good luck to everyone else applying to Carroll! I am also a first year student in the MBA program, and so far I am really happy with my decision. There is a really strong sense of community here and I have already made some great friends from all over the world. One thing I will also add is I have been very impressed with the quality of the professors. The school definitely recruits talented professionals. Our accounting professor previously taught at Booth and Harvard Business School. Our marketing professor worked at J&J and brings a lot of industry experience. The professors here really know the material and are good at teaching. According to LinkedIn, most grads work in Boston and New York. However, BC is well-known for having a loyal alumni network so you can definitely make contacts. I’m also willing to answer any other questions that you have (also feel free to PM me). 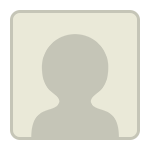 Originally posted by ThisSideofParadise on 04 Sep 2015, 18:43. Last edited by ThisSideofParadise on 26 Oct 2015, 03:17, edited 1 time in total. Thank you very much, ThisSideofParadise and erahn1, for your time and involvement in forum discussions!! Good luck to all Carroll (Boston) applicants!! We have just updated the first post with deadlines for 2015/16 application. Use this thread to discuss your application strategy, share ideas and application updates with other applicants. If anyone is interested in becoming Threadmaster for this school, please PM me. If you're considering entering an MBA program and have yet to take the Graduate Management Admission Test (GMAT), you may have a few questions. When is the best time to take the GMAT? Will I be penalized for submitting my application during a later round? What is the best way to prepare for the exam? To shed light on the GMAT and its role in graduate admissions, we spoke with Eric Chambers of the Graduate Management Admission Council (GMAC). An integral part of the BC MBA is our emphasis on real-world experience and field study. Students at the Carroll School learn through a rigorous curriculum and impactful experiential learning opportunities, including the Graduate TechTrek. With unparalleled access to the BC alumni network and under the direction of Professor John Gallaugher, MBAs tour some of the nation's most distinguished tech firms and participate in master classes taught by venture capitalists, CEOs, and entrepreneurs. Here, Professor Gallaugher elaborates on the distinct advantages of the Graduate TechTrek at BC. You may have heard, in reviewing the application process for 2015-2016, that we considered how we could streamline the process for our MBA candidates, making the process more concise and introspective. For a list of updated requirements, an overview of valued qualities, and to access the latest online application, read on. The BC MBA 2015-2016 application recently became available, and you may have noticed that to simplify the process for our applicants, we now require a single recommendation. For our advice on choosing one powerful reference, read on. YOUR APPLICATION IS UNDER COMMITTEE REVIEW. YOU WILL BE NOTIFIED BY E-MAIL WHEN A DECISION HAS BEEN POSTED TO YOUR ONLINE APPLICATION. Just got that message today. I'm super excited! Anyone else have something similar OR know how long after receiving that message I should expect a decision? All I can say is that I have spent hours watching and re-watching the videos on the Boston College YouTube channel and I am stoked! When you think of orientation, you might think barbecues, campus tours, and ice breakers. We do all of that, but what makes BC's full-time MBA orientation so valuable is that our students start seeing a return on their investment from day one. I applied almost 10 days ago, haven't heard anything back so far. Can any of the current students let me know how much time the process normally takes? There are definitely opportunities to go abroad - however since first-year students generally have their core classes I believe for first-years the travel opportunities are the domestic Tech Treks (ie. TechTrek West or the Berkshire Hathaway Field Experience in Omaha). However, there are abroad opportunities in the International Management Experience (IME) which goes to Asia, Europe, or Latin America and the International Consulting Project (ICP) which goes to China or Peru. 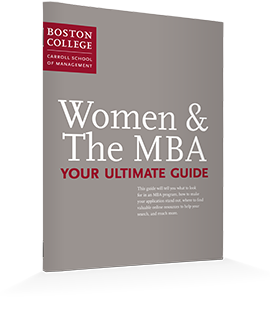 If you didn't make it to this year's Forté Forum events, you won't want to miss this opportunity to download our latest eBook, Women & the MBA: Your Ultimate Guide. Just submitted my application for Round 1! Good luck to the rest of you who are applying! Follow along with Kevin Barry, BC MBA '17, as he shares his experiences in our full-time program in this new monthly series.